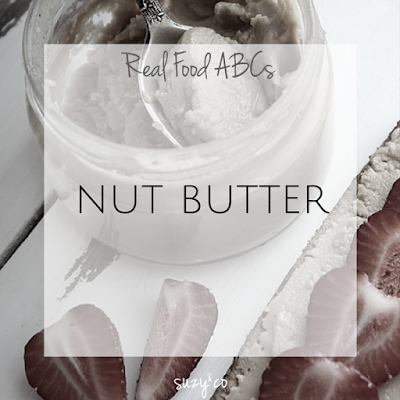 Nut butter are a great real food item that has good fats, lots of protein, and are plant-based for those wanting to eat less animal products. I have a confession. I originally was going to title this after that popular hazelnut chocolate spread from Italy that is all over Pinterest. I love that stuff. Plus I wanted to include something fun; a treat to the real food abc series. The reason I went with nut butter? Well that popular brand has some ingredients that I would consider unreal. 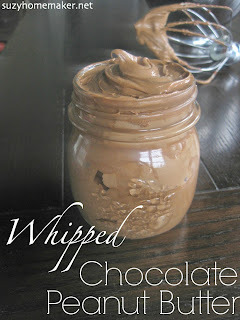 However, a chocolately, hazelnut, sugary spread can be a part of your real food kitchen. So how can a chocolate hazelnut spread be real food? It all comes down to ingredients. Of course you can always make it yourself, but even when you want to eat more real food, you don't always want to make everything from scratch. I found the following brands whose ingredients lists fall into the real category. On your journey to eating more real food, enjoy the sweets as well!